Call Penguin Cooling & Heating for the best heating, ventilation and general HVAC repair services in the Charlotte area. If you need the finest repair services for your HVAC in Harrisburg, NC, look no further than our team of qualified industry professionals. 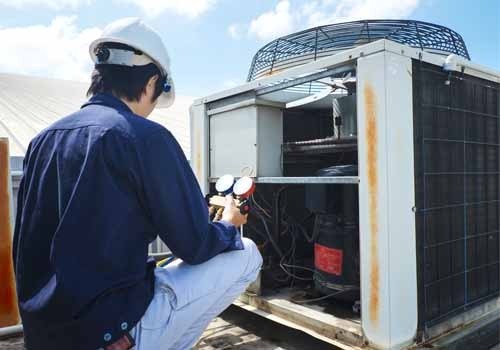 We offer low-cost solutions for HVAC repair, sanitization and cleaning, installation, replacement, and diagnostic testing. Need REPAIR SERVICES FOR YOUR HVAC in Harrisburg, NC? When you trust the experts at Penguin Cooling & Heating, you get your HVAC system fixed when it is convenient for you—365 days a year, day or night. 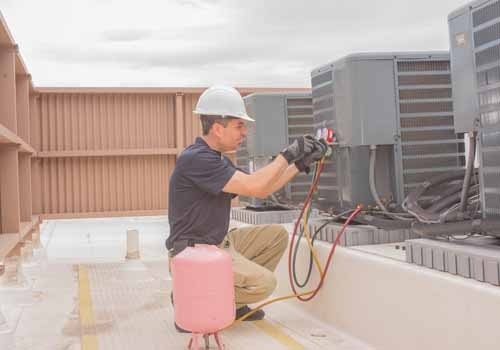 Our team is fully trained in the craft of HVAC maintenance and are specially equipped to deal with emergency and non-emergency rush projects. No matter your situation, if you need fast and affordable HVAC in Harrisburg, NC, Penguin Cooling & Heating is the right choice for the job. The HVAC experts at Penguin Cooling & Heating offer a host of services in the Charlotte and Harrisburg area. Not only do we offer tune-ups, cleanings, and maintenance checks for your HVAC system, but we have years of experience in optimizing ductwork and HVAC machinery for optimal energy conservation. Our mission is to provide you and your family with end-to-end services to make sure your building has excellent indoor air quality all year long. 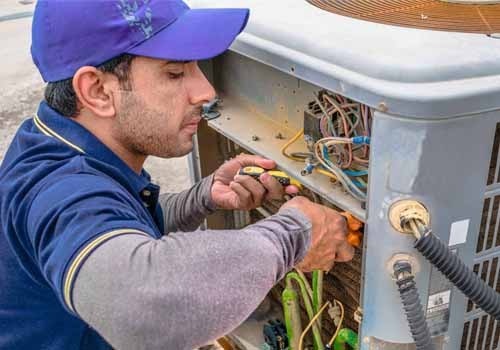 Although we have a host of emergency and non-emergency response services, our three most common scheduled HVAC services are the following (and they are all backed by a 100% Customer Satisfaction guarantee!). We are here to help if you need a heater adjustment, vent replacement, or HVAC repair in Harrisburg, NC. If you want the cleanest air quality possible, trust the top nationwide providers of heating and air conditioning services. To help you escape the hot, uncomfortable weather, we offer convenient and affordable HVAC installation options at a low rate. At Penguin Cooling & Heating, we offer HVAC repair services that include a full diagnostic and safety check of your system from end to end, with complementary sanitation too. To boot, we won’t leave your property until you have expressed your full satisfaction with the repairs rendered. Lastly, we run system tests at the end of every repair sessions to ensure that optimal performance. We believe that HVAC replacement should never cause a headache. That is why we have a dedicated, on-call team of HVAC professionals waiting to replace your air conditioner on a moment’s notice. When you decide to have your HVAC unit replaced by Penguin Cooling & Heating, we walk you through the process every step of the way—from choosing a new unit to setting it up and configuring it for maximum efficiency. Make a call you won’t regret—ask us about how you can save money every month by choosing Penguin Cooling & Heating for your HVAC repair, replacement, and installation needs. Start saving today by contacting us for a free quote and no-obligation personal assessment.